Browse for battery disconnect switches by vehicle make and model. Heavy-duty battery disconnect switch with removable key and dust cover. Made from super tough glass-reinforced plastic. Key is not removable when switch is on and is removable when switch is off. Isolates the battery pack from the speed controller during transit and storage or in the event of a serious electrical fault or speed controller malfunction. Can also be use as a power switch with speed controllers that require a power switch between themselves and the battery pack. 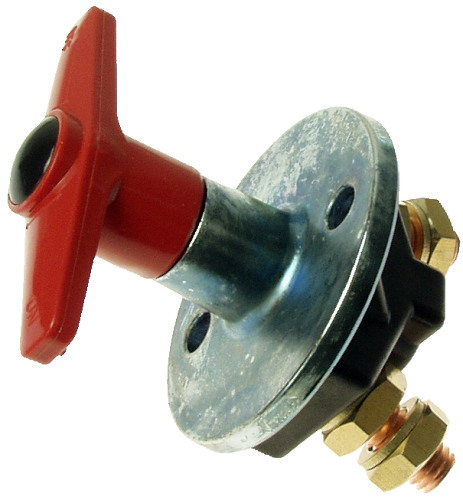 Two heavy-duty 10mm OD copper terminal power posts with zinc plated nuts and washers. Two 1/4" ID mounting holes with machined brass inserts. 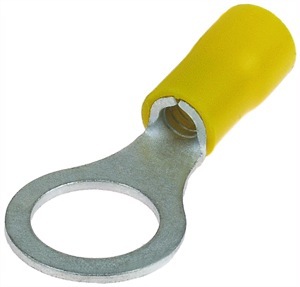 Heavy-duty battery disconnect switch with permanently attached handle. Isolates the battery pack from the speed controller during transit and storage or in the event of a serious electrical fault or speed controller malfunction. Can also be use as a power switch with speed controllers that require a power switch between themselves and the battery pack. 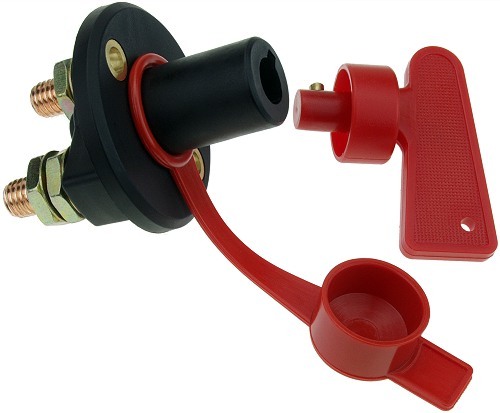 The red plastic handle is bolted onto the switch base and is removable for installation. Two heavy-duty 10mm OD copper terminal power posts with brass nuts and washers. Two 1/4" ID mounting holes. Crimp-on insulated ring terminal connector for 10-12 gauge wire. Ring has 10.5mm ID and accepts 3/8" or 10mm stud, machine screw, or bolt.